94mm dia, Hole PCD 76mm. Durchmesser 94mm Loch Lochkreis 76mm. 55mm ID. weld on or bond to 53.5mm aluminium tube. Solder or bond on to a 57mm (2 1/4) pipe. 100mm Dia. 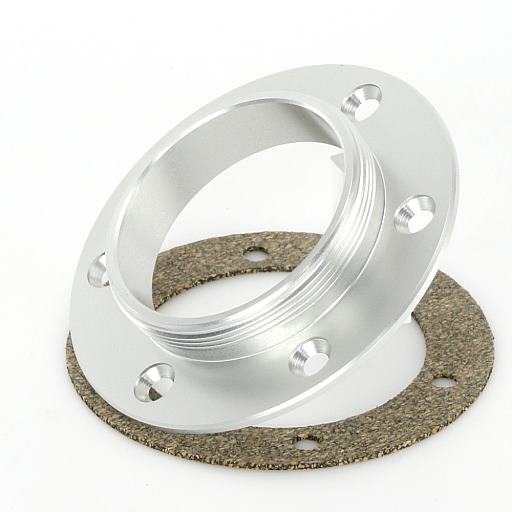 Hole PCD 84mm. 100m dia, 50mm pipe, 50mm long. Fits over a 61mm dia pipe. Suitable for fuel, oil, water, air. 12.2mm through hole.